I know what you’re thinking. You want to kick me in the shins because I’m the jerk who’s bringing up going sugar-free while you’re snacking on red & green office party cupcakes. I hate the thought of it, too. But I wanted to give you a heads up that on Monday, January 11, we’re doing another Fed Up Challenge! I said we’re doing another Fed Up Challenge!!! You probably can’t hear me over the slurping sounds of peppermint mocha lattes and the loud crunching of peanut brittle. I thought January would be the perfect time to hop back on that wagon and go sugar free to detox from all the holiday merriment. You get it. You just want me to leave you alone so you can enjoy your holiday sugar binging in peace. 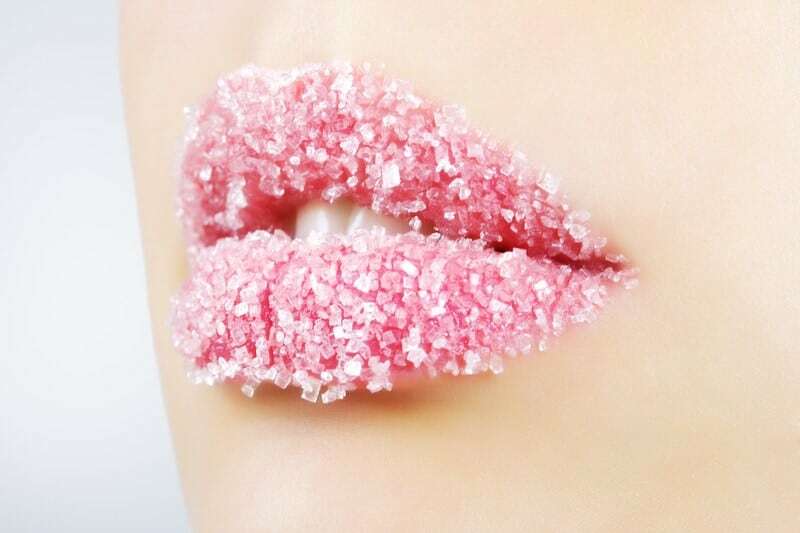 Believe me…I’ll be indulging in my own holiday sugar mania. In fact, this is the lipstick I’m going with until January 10. I promise I won’t bring up carrots again until January. I CAN’T WAIT TO GO SUGAR FREE! Sorry to yell at you. I’m trying to convince myself and I can’t hear myself think with all the cookie crunching going on over here. 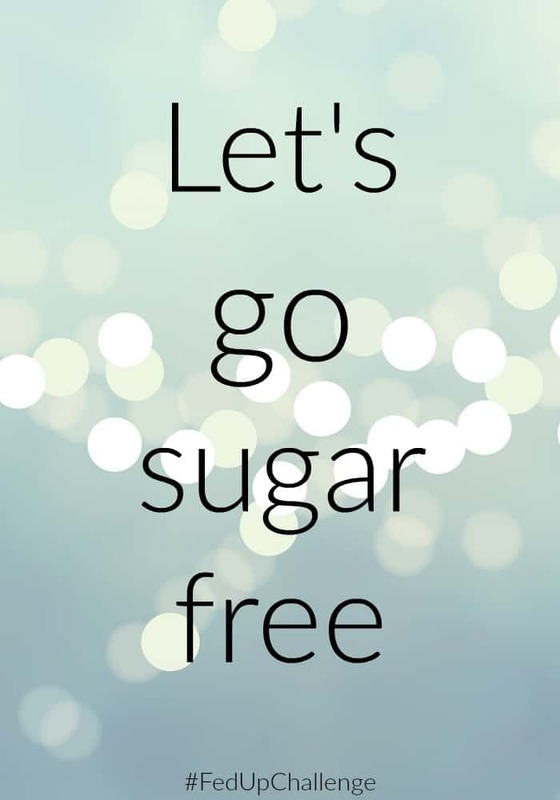 I’m nearing the end of a SIX WEEK sugar free challenge. Bloomin Heck it’s been hard! But I ‘think’ I feel better for it. There have been so many office shouts this last week that I’ve had to decline and I’m looking forward to Sunday when my six week challenge is over. I’ve no idea what the first ‘sugar’ item is that I’ll have and I’m a little bit nervous about whether I’ll even like it. But it’s nice to know I can survive. I’ve found new bread that suits the challenge, new meals and recipes, I even convinced the local Cake Making Man to add sugar free bliss balls to him menu and they are AMAZING! I’ll definitely do Round 3 with you. Looking forward to it (at least it’s not six weeks). Hi Jade. Good for you on the 6 weeks! I’m really happy you’ll be joining us for the challenge in January. Hmmmmm, I don’t know. I may give it a try for a few days. I gave up 90% of the sugar I was eating a few months ago. I think a sausage muffin sounds better than a cookie at this point! I am interested in meeting the challenge. So I will see you on the 11th. Hopefully I still have a smile on my face after 10 days. Hi Julia. I’m so glad you’ll be joining us. It’s going to be hard, especially after the holiday sugar craze, but we can do it! Hi! Where do I sign up for the Jan.11th sugar challenge. Hi Jackie. On the right hand side of any of my web pages is a pink box that says “sign me up”. That will sign you up to receive all blog updates. Hi I’m really keen to do the 10 day sugar free diet. I have signed up to your emails, is that all I need to do. Also I’m from New Zealand so our food is very different but I’ll adapt when necessary. Great to have you, Emma. Yep that’s all you need to do (besides participate of course!) I’d love to hear about some of your adaptations that you make. I’m very curious about food from other places. Good for you Kirstie! I have quite a few posts on this subject under the “sugar free” tab. Have you looked at those? Let me know if you have any questions. AHHHH!! Sugar Free Challenges !!! I absolutely love your commitment to making a small change to your daily routine to improve your health!! giving up pumpkin ?? No big deal — pumpkin season is practically over anyway!!!! Making a small change is such a great thing to do and i look froward to hearing how it goes and the challenges you have to hurdle along the way. Say no to office cupcakes! I’ll keep rooting for ya! OK – I’m new here and its definitely after January 11th BUT there is not time better to start than now. So, tonight I prep and tomorrow I start my 10 day challenge. I NEED to break the cravings for sugar and this seems like a great way to start.